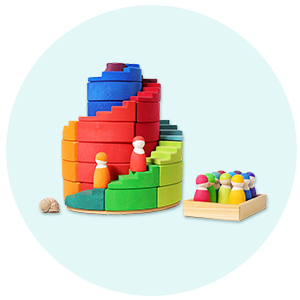 Browse our great range of toys for 4 year olds. 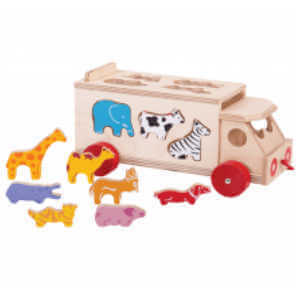 Traditional wooden toys for 4 year olds perfect for open-ended play, fantasy worlds full of pirates and princesses, ample opportunities for role play and imagination that will build your four year olds' confidence, self-expression and develop social skills such as concentration and cooperation. Four is a very important age as for many it's the year a child starts school. This means they suddenly need school bags, lunch boxes, drinks bottles and stationary that they may not have needed before. And that they are embarking on a whole new journey into the fantastic world of reading, writing and counting. Not to mention seemingly endless class parties that require you to find lovely budget-friendly gifts for their classmates. By the age of four, a child also tends to know what they like. They will have their favourite colour, favourite animals and favourite games to play alone or with friends. 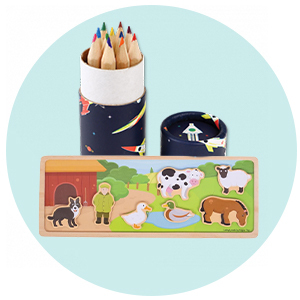 Pick traditional toys they will love from our amazing range of toys for four year olds, whether it's pirates and princesses, knights and dragons, handcrafted wooden animals or beautiful puzzles. 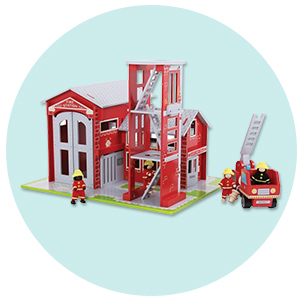 There are lots of amazing role play toys for 4 year olds that will all inspire hours of imaginative and creative play. 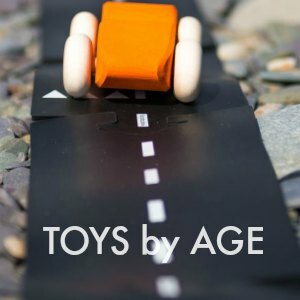 You may even have some of them already and just need a few accessories to make your toys better suited to this age group. Their own toy toolset or workbench. 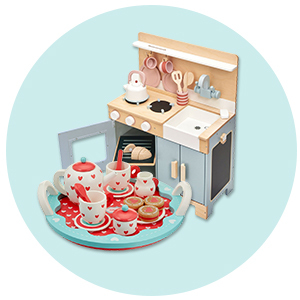 If you are looking for wooden play kitchen toys for 4 year old we highly recommend the Tidlo Country Kitchen as the higher work surface means its still perfect for 4 year olds and above. And you might be amazed at how much four year olds love playing shop. The BigJigs shop is just incredible but there are smaller versions like the Tidlo wooden shop and play theatre if you don't have space. And actually just having a beautiful wooden till and a shopping cart can turn almost any surface into a shop counter. These toys are great for so many key skills but in particular, they are perfect for helping 4 year olds with maths, reading and writing. A great fun way to turn essential homework into a fun game might be to write a shopping list together and then add up all the items at the till. 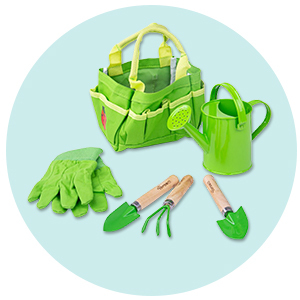 For those whose four-year-olds are more drawn to DIY than shopping and cooking, there are some amazing toolkits that make lovely role play toys for this age and are great for learning too. 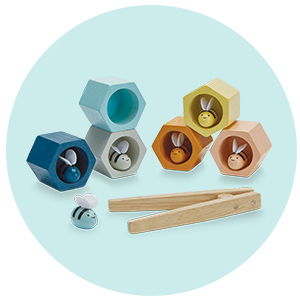 When it comes to small world play, collecting your four year olds' favourite wooden animals can be a great way to encourage imaginative play. Buying a friend's favourite animal as a birthday gift is also a great way to keep the cost of multiple class parties affordable while still giving a beautiful, eco-friendly, open-ended toys for four year olds as gifts. And on that note, we absolutely love the Djeco Arty figures . 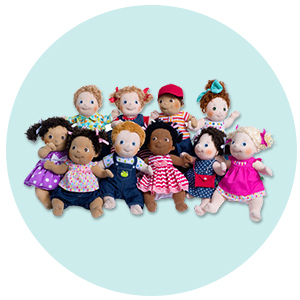 These amazing collectable figurines all have different characters that are perfect for imaginative play, and they make lovely gifts for 4 year olds. The Djeco Pop To Play toys for four year old range is fantastic value and great for rapidly changing minds. You can be playing with a castle one day and a horse stable the next. These toys for four year olds can all be packed away for easy storage. 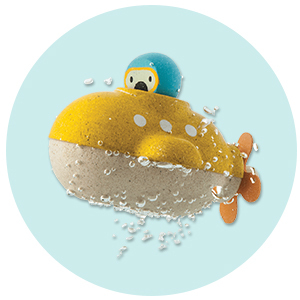 We have a great range of educational toys for four year olds that make learning fun. Whether its the alphabet, mathematics, telling the time or learning about the seasons. The BigJigs Magnetic Weather Board and Goula Calender Clock are both perfect for learning to tell the time, reading the days of the week, learning about the seasons and helping kids get their heads around months and dates. The Big Jigs learn to count game is the perfect toy for four year olds for making sure they know their numbers 1 - 10 and we love the Grimms Maths Friends or the counting blocks for helping with sums. And if you don't already have a set of magnetic letters and numbers on your fridge the Tidlo ones are lovely and great for helping with letter recognition and spelling. You can now filter by toy type if you are looking for something specific. And don't hesitate to get in touch with our wonderful customer service team if you would like to know more about our toy collection.